As the hero, you must climb up a monster-ridden tower to defeat Drokkmar, master of the Blackorb. Throughout your journey, you can smash open chests to find treasure and artifacts. Some of these artifacts alter gameplay, such as providing more damage or increased magical power. Throughout your journey, you collect keys which are used to free imprisoned allies. Allies not only help you defeat monsters, but also givee you when you set them free. Only one ally can join you at a time. As you progress through the tower, you will be granted a new weapon after each boss you defeat. 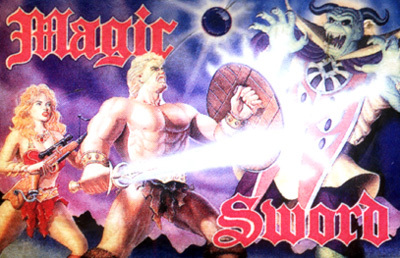 The weapons are affected by a "magic bar" that charges over time. When this bar is fully charged, the weapon has a powerful ranged attack, but when not charged only a close attack is produced. A magical staff will grant increased range attack ability, allowing you to shoot fireballs. A magical blast may be generated by jumping and attacking, but doing this costs health. There are multiple paths in the game, and two separate endings. Hidden doors can be used to skip levels when found - usually by attacking a wall or a particular spot.